This entry was posted by Anne Reith on August 29, 2016 . In the Pacific Time Zone, the New Moon will occur at 2:03 a.m. on Thursday, September 1. This New Moon finds the Moon and Sun in conjunction (0°) at 10° of Virgo. To further clarify how this New Moon will impact you on a personal level, locate 10° of Virgo in your birth/natal chart. The issues associated with that house are going to be most influenced by this New Moon’s presence. All New Moons create a powerful focus of new energy in the sign involved; however, this New Moon is supercharged with Virgo energy! This New Moon is the third of four eclipses occurring during 2016 (the next will occur with the Full Moon on September 16). Solar Eclipses occur when the Moon blocks the flow of the Sun’s electromagnetic energy that flows to the Earth’s surface. Eclipses provide us with opportunities to reboot or reconfigure our consciousness, and they often correlate with major endings and beginnings in our lives. In order to explore how this eclipse might impact you, you can look at where 10° of Virgo is located in your natal or birth charts. Additionally, eclipses occur in 19-year cycles, so if we think back to September 1, 1997, when the last Solar Eclipse occurred at 10° of Virgo, we may increase our understanding about what might need to change in our lives now. Right before this Virgo New Moon (Tuesday, August 30), Mercury begins its last 3-week retrograde period of 2016. The retrograde period will end on Thursday, September 22. And it’s all happening in . . . big surprise here . . . Virgo! Once Mercury begins this backwards direction, we will be thinking and talking a lot, but it will mostly be internal. And it will revolve around the qualities of Virgo . . . discernment, analysis, efficiency, organization. We will be exploring what is working or not working in our lives, our relationships, our work environment, our EVERYTHING. Given other influences, we will, to a certain extent, be exploring what is keeping us from expressing our truth. 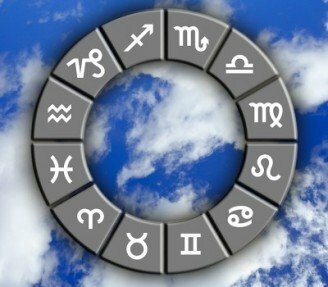 When Mercury goes retrograde in Virgo, some astrologers feel that Virgo’s natural affinity for attention to detail may soften the impact of the retrograde period, making it less likely that important information will be missed, travel plans will be complicated, and/or electronic devices will have hiccups. Hopefully this will be true for us, but I do encourage everyone to be patient with each other, because there may still be some unexpected problems and delays due to everyone being more internally focused than usual. Not only are the Sun, Moon, and Mercury all in Virgo, but so, too, are Jupiter and the North Node. All of this Virgo energy is telling us to take the time to clear out the clutter in our lives. This could be a closet or the garage, a relationship or job that is no longer serving us, or anything that is keeping us from expressing our soul’s essence. The Virgo qualities of organization, focusing on details, and the creation of order and efficiency will serve us well now, but only if we consciously decide to use it. Because Virgo is ruled by mental Mercury, it’s also a great time to clear out any clutter in our minds. Take stock of your thoughts. As Wayne Dyer used to say, think of your mind like a computer. When negative thoughts come to you, move them into the recycling bin on your desktop (or trash for Mac users). Mercury also has to do with communication, so the Virgo energy right now may mean that we need to analyze how we are communicating with others. Luckily, Mercury will conjunct (0°) Jupiter just a few hours after the Solar Eclipse. So around the time of the New Moon, we will be supported in exploring new ways of thinking, new perspectives, and even new philosophies. Perhaps most importantly, the Sun and Moon are in a very tight square (90°) to Saturn and a wider square (90°) to Mars. They will also be in a tight opposition (180°) to Neptune. This creates a t-square configuration (right triangle) that activates the ongoing Saturn-Neptune square (90°) in a powerful way. Although the final square will be exact on Saturday, September 10, we will be feeling the impact of this Saturn-Neptune square for the next 3 weeks, and the New Moon and Solar Eclipse are kicking things off in a big way. Squares always mark turning points. Saturn (the responsible realist) and Neptune (the idealistic dreamer) have been “squaring off” since their first square on November 26, 2015. It is likely that we have had to face some hard truths, such as seeing clearly that in order to create our dreams, we will need to take responsibility for our bodies, minds, and spirits. This includes facing any dependencies, addictions, or psychological issues that are impeding our progress. For many, this has involved making substantial life changes, including moving away from many previously important people, situations, and even belief systems or childhood conditioning. We’ve had to learn how to be “our own inner authority.” And because Neptune is involved, it’s been a time when we’ve had to fight off fear and, at a deeper level, learn how to trust in Divine Order and Divine Timing. Now, at the time of the last of three squares, we are being given a final opportunity to take care of any unfinished business related to the Saturn-Neptune squares. Luckily, the presence of Mars in the t-square can give us the energy and courage to see things clearly, refocus our intentions, and face our challenges. On Sunday, September 4, the Sun is conjunct the North Node and in opposition to the South Node. This will continue to shed light on what needs to be cleaned up from the past (e.g., healing, repair, improvement) and where we need to be brave and take more risks. We may find ourselves drawn to someone who shares our same interests and might help us in meeting our goals. Jupiter leaves picky Virgo and moves into soothing Libra on Friday, September 9, where it will remain until October 10, 2017. Jupiter is a planet of extremes, so over the course of the next 13 months, it could exaggerate either the higher or lower expressions of the sign of Libra. The lower expression would be an inability to commit to any course of action, which would be a lost opportunity. Instead, we want to use this transit to promote peace, justice, and harmony within ourselves, our relationships, and in society as a whole. It’s a good time to “partner-up,” be that romantically or in business. Within romantic relationships, we may see larger-than-life displays of love and affection. We also will see everyone being more willing to focus on what is “fair and reasonable” rather than what is “right or wrong.” Peace and harmony will become virtuous goals for all of us to strive toward. And as mentioned above, Saturday, September 10, is the day when the Saturn-Neptune square (90°) is exact. Although the days preceding and following the exact square will definitely be influenced, today may be a day when optimism is hard to come by. An opposition (180°) between retrograde Mercury and the asteroid Chiron may make us feel confused and uncertain about what we need to do to heal our minds and thoughts. This is a good day to take a step back, do our best to see the big picture, and trust in Divine Order and Divine Timing. The next day (Sunday, September 11) begins a 3-day period when we all need to be patient within our relationships and a bit more cautious than usual when taking action. On Sunday, a square (90°) between Venus and Pluto may convince us that we are behaving in a loving way but our actions could be colored by a personal need for power and control. Rather than chance hurting the feelings of others, we should focus, instead, on using the depth of understanding that is provided by Pluto to learn more about our relationships. And given Mercury is in retrograde, this may involve internal exploration of these issues before anything is spoken externally. Unfortunately, Monday, September 12, could bring more frustration. A square (90°) between Mercury and Mars could cause a lot of mental agitation today. We may feel like arguing just to let off internal steam. This means that we may encounter normally-reasonable people who are suddenly aggressive or critical. Or we may be that aggressive, critical person. We definitely need to think carefully before we speak. Luckily, a conjunction (0°) later in the day between the Sun and Mercury will provide us with an, albeit brief, opportunity to explore options for positive resolutions. But because Mercury is still in retrograde, we may want to continue the trend of exploring new methods internally before actually implementing them externally. Tuesday, September 13, resumes the need for caution interpersonally. A square (90°) between the Sun and Mars could result in irritability and impulsive actions. Working with others will likely be problematic today. If possible, work alone because the presence of Mars will give us the energy to get a lot done, if we can channel it constructively. Overall, this Virgo New Moon, Solar Eclipse, Retrograde Mercury, and the activation of the Saturn-Neptune square should be taken very seriously. We could see profound realizations and changes in our lives that propel us forward on our spiritual path. The early part of September is a time to figure out what has been left undone and needs to be wrapped up, and a time to internally explore where we want to go next. We may feel a strong need to put our lives back in order, but decisions will likely be best made after Mercury goes direct on September 22. For now, we need to take stock. Many of us have been through tumultuous times and extreme changes in our lives. We need to figure out who we are after all these changes, perhaps even redefining who we have become. This Solar Eclipse and the next Lunar Eclipse provide us with ideal opportunities to upgrade our systems to the newest version of personal software. And although Virgo is often known for discernment and analysis, its goal is actually integration and healing. There will be ample time later this fall to show the world “the new you.” For now, take the fragments and begin the process of reconstruction that will lead to a happier and healthier person. And remember, “Sometimes our lives have to be completely shaken up, changed, and rearranged to relocate us to the place we’re meant to be” (Unknown).